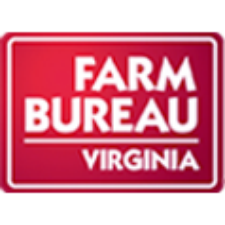 Young spoke on “The Numbers of Agriculture: What the 2012 Census Says About Us” Dec. 2 at the Virginia Farm Bureau Federation Annual Convention in Hot Springs. He called census data “critically important” and said the 2012 findings indicate a continuing increase in the number of both small-scale farms and large farms. For example, Young said, 33,330 of the 2.1 million farms in the United States—about 1.6 percent—produce 50 percent of the nation’s agricultural products, according to the 2012 census, and 50 percent of U.S. beef was sold by 12,879 of 740,978 producers, or 1.7 percent. Half of America’s grains and oilseeds were grown by just 20,197, or 4 percent, of the nation’s 503,315 producers. The 2012 census indicates that the bottom 25 percent of farm operators number about 2 million, the top 25 percent number about 4,000 and the middle 50 percent total 115,582, which is down from 175,805 in 1997—a 35 percent decline. “Farming is shifting out to the edges,” Young said. And he finds it “interesting” that organic food production is part of that trend. According to the 2012 census, it took just 644 of the 14,326 organic producers to grow half of all organically grown commodities. “That’s a concentrated sector,” he said. In Virginia, there were 145 organic farms in 2012. Seventy of them had sales of less than $5,000, while 50 of them had sales of more than $50,000. “The middle is going away” for both traditional and organic farms, Young said.